Whether you fashion your own hair into individual braids or you opt for synthetic extensions in order to get longer wear from the hairstyle, taking care of your braids not only keeps them looking great, it's also necessary for maintaining the health of your tresses. These maintenance tips are designed to make sure your braids look fabulous for as long as you wear them while also maintaining your own healthy locks! At night, as with just about any hairdo, it's a good idea to cover your braids before bed. A silky or satiny scarf works well, or try an extra-large hair bonnet. If sleeping with hair coverings isn't your thing, a silky pillowcase is perfect. 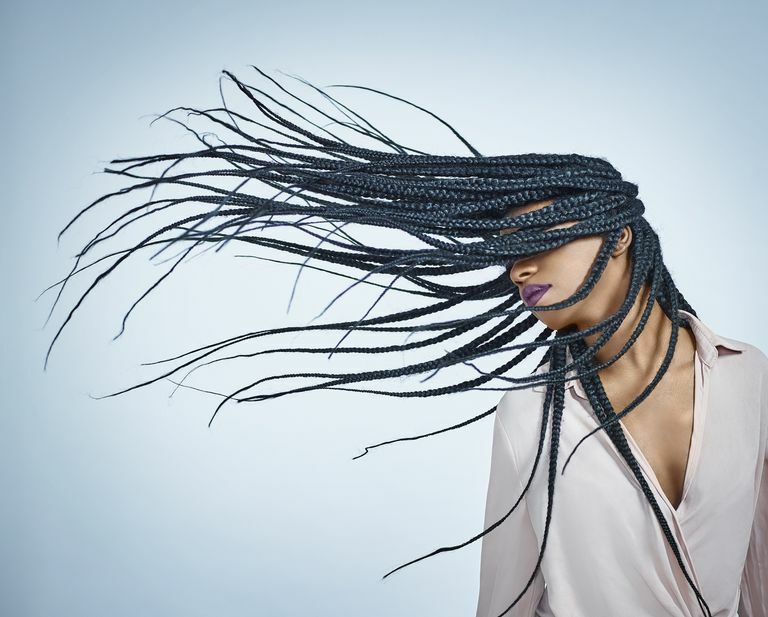 While you don't have to worry about dryness issues if you're wearing extensions, you can avoid frizz and shortening the life of your braids if you protect them at night. Just because your hair is braided doesn't mean it's maintenance-free. 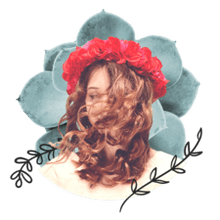 Yes, you save a lot of time when pulling your look together because your hairstyle is already done, but you still have to cleanse your scalp and hair on a regular basis. Place a small amount of shampoo into your hand. Rub both hands together to form a lather. Using the balls of your fingers, apply the lather to your scalp only. With circular motions, rub the shampoo into your scalp, being careful to place your fingers beneath your braids. Rinse thoroughly, letting the downward motion of the water pull suds through the braids. Follow up with a conditioner if your braids are your own hair, but this isn't necessary with extensions. Squeeze excess water from your braids. Dry them with a soft towel or better yet, an old tee shirt, by squeezing them in sections. Do not rub them dry. If you have fine hairs along your hairline, commonly known as "baby hairs", these shouldn't be incorporated into your braids. These hairs tend to be soft and fragile, and pulling them too tightly could permanently damage the follicle. Instead, leave them outside of your braids. Also, don't braid tightly along the hairline at all. Pain or tiny bumps that crop up along your hairline are warning signs that the style is too tight. Even with regular shampooing, your scalp may itch due to being exposed or as a reaction to synthetic additions. Sprays made specifically for braids are a great help for these times. Not only can you spray your scalp to get relief, you can also spray along the length of your braids to add shine. Another option for a really itchy scalp is an astringent such as Sea Breeze. Simply apply to a cotton ball and dab along any irritating, exposed areas of your scalp. Astringent is for your scalp only; try not to get it onto your hair. Because braids make life easier, it's tempting to want to leave them in well past their prime. This has the potential for a hair disaster! If left in too long, your hair could begin to loc, and it will definitely suffer from lack of proper moisturizing. The bigger your braids, the shorter their lifespan, so your hairstyle may last anywhere from a couple of weeks to a max of eight. In addition, before moving on to your next set of braids, remember to give your hair a break. Let your tresses breathe, braid-free, for at least a week or two. In the meantime, trim your ends if needed, apply a moisturizing deep conditioning treatment and choose styles that don't place any stress on your hairline. It's easy to fall in love with the low-maintenance lifestyle braids give you. Take care of them properly, and your hair underneath, and you can sport this stylish look throughout the year.